In Arizona, DUI checkpoints or sobriety checkpoints are used to help keep intoxicated drivers off the road. These mobile checkpoints are roadblocks or traffic stops that are not connected to any specific suspicions. These roadblocks can be set up at random and temporary locations. 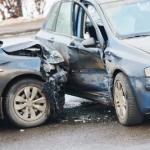 According to reports, the state believes that the roadblocks save the state about $62,500 per roadblock in the costs of travel delays, police resources, and the value of losses from impaired drivers who are sanctioned and apprehended. It costs about $8,900 to conduct a single Arizona DUI checkpoint. Let’s see how DUI checkpoints are legal in Arizona. What Happens At An Arizona Sobriety Checkpoint? When drivers are at a DUI sobriety checkpoint, officers are permitted to detain the drivers to interview them. At that time, they can determine if a driver is acting intoxicated or suspicious. Those acting suspicious are then given a sobriety test. These checkpoints are designed to make roadways safer by getting intoxicated drivers off the road. The Center for Disease Control and Prevention (CDC) has indicated that DUI checkpoints have the potential to prevent 1 of every 10 DUI deaths. What About Probable Cause Being Required For An Arizona Traffic Stop? 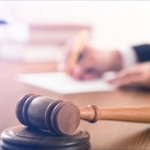 While the law indicates that an officer must have probable cause to stop a driver, the U.S. Supreme Court has ruled that the risks resulting from individuals driving while drunk far outweigh the intrusion caused by the roadblocks. Because of this, roadblocks to stop drunk driving are granted an exception to the search and seizure provisions found in the U.S. Constitution. Guidelines for law enforcement have been issued by the National Highway Traffic Safety Administration regarding how to conduct DUI checkpoints. Probably one of the most common regulations is that the checkpoint locations must be publicized ahead of time. 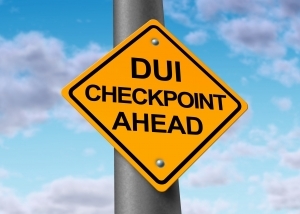 Some states have outlawed the use of checkpoints while DUI checkpoints are legal in Arizona. Do I Have Rights At An Arizona DUI Checkpoint? If you are stopped at an Arizona DUI checkpoint, you still have constitutional rights. It is legal for an officer to ask for your license and registration at a checkpoint. While you are gathering these documents, the officer will notice your response, attitude, behavior and coordination to see if you might be intoxicated. Officers working at DUI checkpoints have been trained to watch for signs of impairment or intoxication. However, sometimes nervousness, anxiety, fatigue, or medical problems might be taken to be intoxication when they are not. You have to comply with an officer’s request to exit your vehicle or to be questioned further. If you fail to comply with the officer’s request, you could face other criminal charges such as disorderly conduct. If the officer suspects you to be intoxicated, you might be asked to perform a field sobriety test. This test is not required by Arizona DUI law, so you can politely decline this test as most Arizona DUI attorneys recommend. Often, field sobriety tests are biased because the officer determines if the individual is a candidate and the officer instructs and grades the test as well. Next, you could be asked to take a breath test. You can legally refuse to take this test, but you will face civil consequences. 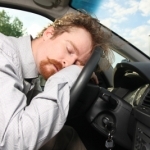 You would face a one-year loss of driving privileges even if you are not intoxicated. Refusing to take the test can be used against you in a court of law as well. 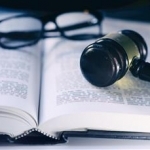 If law enforcement has a probable cause based on evidence on site, they can contact the judge on call to obtain a warrant and get a blood test without your consent to check for drugs or alcohol. 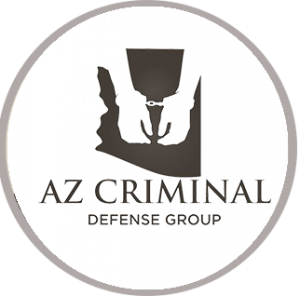 If you have been arrested at an Arizona DUI checkpoint, you should talk with an Arizona DUI attorney.